Easter weekend sees the British Rowing Team hold their final trials on the Redgrave Pinsent Lake at the team’s training base at Caversham in Reading. Whilst in countries like the USA, winning trials is a “black and white” affair, you win trials you’re in the boat, in the GB team trials merely form part of the overall testing process (and there have been several examples, especially among the lightweights, where the winner of final trials isn’t selected for the top boat). It’s also worth mentioning that whilst these are nominally called “final trials”, there are a large number of athletes who are not competing, particularly those who are currently studying in the US so there will, especially for the U23 team, be a lot more names in contention form places come the summer. Favourite will be Vicky Thornleyof Leander Club. The 2017 World W1X silver medallist had a miserable 2018 which, it turns out, was due to overtraining. Now back to full health she’ll be looking to stamp her authority on the rest of the team and secure selection for the single for the 2019 season and beyond. Chasing Thornley will be the Hodgkins-Byrnesisters, Mathildaand Charlotte. Mathilda, from Reading Rowing Club, was in the GB W4X last season that won bronze in 2017 and then finished 5thin 2018. Younger sister Charlotte, from the University of London Boat Club, won gold in the BW2X at the 2018 U23 World Championships and then took a superb 4thplace at the senior World Championships (tragically her partner in that boat, Anna Thornton, suffered a severe head injury whilst at College in the USA and is still on the long road to recovery). Making her return to the GB team since winning silver in the W8 in Rio is Polly Swann, racing for Edinburgh University Boat Club. It’s great to see the 2014 World Champion back in a GB vest although she’s more known as a sweep rower than a sculler. Runner-up to Thornley at the 2018 Trials was Lucy Gloverof Edinburgh University Boat Club. The 21-year-old is one of the most exciting young scullers in the GB team. She won gold in the U23 BW4X in 2017 and bronze in 2018. 2019 could see her make her senior debut. Another member of the 2018 W4X racing is Melissa Wilsonof Cambridge University Boat Club. Wilson raced in the sweep squad in 2017 culminating in an excellent 4thplace in the W2- at the World Championships. For 2018 she switched to the sculling team sitting in the 2 seat of the W4X. Another Leander Club athlete is Ruth Siddorn.She finished 5thin the BW1X at the U23 World Championships last season but now 23 she will be looking to make the step up to the senior squad to secure a berth for the Olympic team. Nicole Lamb(Sheffield University Boat Club) – A bronze medallist in the U23 BW8 in 2014 & 2015. Jack Beaumont(Leander Club) will be anxious to avoid a repeat of the 2018 final trials when he missed out on an A Final place altogether. He and Angus Groom(Leander Club) formed a highly effective M2X winning medals at the World Cups and European Championships but just missing out at the World Championships. Tom Barras(Leander Club) won the 2018 trials after a spectacular 2017 season that saw him win individual bronze at the World Championships. In 2018 he moved into the M4X that finished out of the A-Final. Barras’s team mates from the quad John Collins(Leander Club) and Graeme Thomas(Agecroft Rowing Club) are also racing, although the 4thmember of the 2018 crew, Jonny Walton, is out on medical grounds. Making a welcome return to racing is Pete Lambert(Leander Cub). He spent the whole of last season on the sidelines following hip surgery and will be hoping to make a positive return to racing. Ollie Cook(University of London Boat Club) is more used to sweep than sculling (he finished 8thin the M2- last season). He was due to pair with Will Satch at trials (and Satch posted a brief video of them in the pair on Instagram) but Satch is still not fully recovered following heart surgery so misses out on trials. One of the most exciting young scullers racing this weekend is Josh Armstrong(Edinburgh University Boat Club). The young Scot (who turned 21 at the start of the month) was a member of the outstanding GB U23 BM4X that won gold at the World Championships last year. A strong showing this weekend could see him fighting for a spot in the senior team. James Cartwright(Leander Club) – Another 18 year-old and winner of a silver medal at the 2018 Junior World Championships. Nathan Hull(Queen’s University Belfast) – finished 5thin the M2X at the European Universities Games. Jens Hullah(Molesey Boat Club) – A member of the World Class Start programme and medallist from the 2018 Coupe de la Jeunesse. George Lawton(Reading University Boat Club) – A member of the 2016 GB Junior World championship team and gold medallist from the European Universities Games last year. Sam Mckeown(Queen’s University Belfast) – winner of a gold medal at the World University Games in Shanghai in 2018. Oliver Stephens(Leander Club) – A former Kiwi and winner of a silver medal at the U23 World Championships in 2016 (for New Zealand). Last year’s winner of Trials, Emily Craig, is on the injured list so won’t be defending her title. In her place the favourite will probably be Imogen Grantof Cambridge University Women’s Boat Club. The 2017 and 2018 Cambridge Blue won gold in the BLW1X at the U23 World Championships last year and followed that up with bronze at the senior Worlds. 2ndat last year’s trials was Ellie Lewis(Reading Rowing Club), she went on to represent Great Britain in the LW4X at the World Championships finishing 5th. A crewmate of Lewis’ in the 2018 LW4X was Maddie Arlett(Edinburgh University Boat Club). She raced in the LW2X with Emily Craig at the 2017 World Cup in Belgrade winning bronze and then took silver in the LW4X at Lucerne the same year. Ellie Piggott(Wallingford Rowing Club) was a member of the gold medal winning LW4X at the 2016 World Championships, she raced in the same boat class in 2017 before forming a LW2X with Emily Craig for the 2018 season. This duo took a strong bronze in their first race at the Belgrade World Cup and ended up 5that the World Championships. Looking to make her senior debut this season is Flo Pickles(Reading Rowing Club). The 22 year old has spent the last three years as a member of the U23 squad finishing 4thin the BLW4X in 2015, 8thin the BW4X in 2016 and 5thin the BLW4X in 2017. Also racing are three U23 contenders Fiona Chestnutt(Newcastle University Boat Club) – winner of championship LW1X at Henley Women’s Regatta last year, Susannah Duncan(Exeter University Boat Club) – bronze medallist in the BLW2X at last year’s U23 Worlds, and Chloe Knight(Reading University Boat Club) who was a member of the winning BUCS Champ W4X last season. Jamie Copus(Oxford Brookes University Boat Club) is back to defend the title he won in 2018. He spent the 2018 season in the LM2X finishing 3rdin the B-Final (9thoverall). Copus was partnered in the LM2X by Zak Lee-Green(Agecroft Rowing Club), in 2017 Lee-Green was a member of the LM4X that won a silver medal at the World Championships. A crew mate of Lee-Green in that 2017 boat was Pete Chambers(Oxford Brookes University Boat Club). The most experienced lightweight in the GB team, Chambers rowed in the LM4- at both the London and Rio Olympics (winning silver in London). He missed the whole of the 2018 season and will be looking to win a seat in the Olympic class LM2X boat for this season and beyond. Another athlete making a return after missing the whole of the 2018 season is Will Fletcher(Leander Club). He raced with Pete Chambers older brother Richard in the LM2X at the Rio Olympics, finishing 7th(having been world championship silver medallists the year before). Last year’s LM1X representative, Sam Mottram(Leander Club) is back racing trials. He won bronze at the European Championships in Glasgow and followed that up with an 8thplace at the World Championships in Plovdiv. 21-year-old Gavin Horsburghhas world championship gold medals at both junior and U23 level and followed that up with a senior World silver medal in 2017 as part of the LM4X. In 2018 he raced in the BLM2X at the U23 World Championships with James Temple (not racing this weekend on medical grounds) finishing 7th. There are three members of the 2018 BLM4X that finished 9thracing this weekend, Dom Jackson(Tyne Rowing Club), James Stevenson(Newcastle University Boat Club) and Dale Flockhart(Edinburgh University Boat Club). Other U23 scullers racing are Franklin Hamilton(Reading University Boat Club) he won silver at BUCS and raced at the European University Championships. Callum Prosser(Lea Rowing Club) who sculled for England at the Home International Regatta and Tom Smith(Imperial College Boat Club) a junior world championship silver medallist from 2017. With the return of Pete Chambers and Will Fletcher the GB men’s Lightweight team will be massively competitive this year, and it’ll be really interesting to see who gets the all-important LM2X seats. Fi Gammond(Leander Club) & Zoe Lee(Imperial College Boat Club). Lee is another member of the Olympic silver medal W8 from Rio. After a break in 2017 she returned to the squad in 2018 and stroked the W4X to a 5thplace finish. Gammond was a crewmate of Norton’s in the gold medal W4- from 2016 and was in the W8 for 2017 and 2018. Rowan McKellar& Hattie Taylor(Leander Club). These two were the GB W2- for the 2018 season finishing 1stin the B-Final at the World Championships (7thoverall). Anastasia Posner(nee Chitty) & Rebecca Shorten(Leander Club). Both these athletes have been members of the GB W8 for the last couple of seasons finishing 5thin 2017 and 6thin 2018. Caragh McMurtry(Southampton Coalporters Amateur Rowing Club) & Rebecca Girling(Molesey Baot Club). McMurtry raced in the W4- last season finishing 7thand Girling raced in the W8 last year. Josephine Wratten& Katherine Douglas(Leander Club). Douglas has been a member of the W8 throughout the 2017 and 2018 season with a best performance of a silver medal at the European Championships. Wratten raced in the W8 at the 2017 Worlds and then moved to the W4- for the 2018 World Championships that finished 7th. Emily Ford& Sara Parfett(Leander Club) Parfett was a crewmate of Wratten’s in the 2018 W4- and Ford won silver in the U23 BW8 in 2016 and made her senior debut in 2018 racing at the first and 2ndWorld Cups. Patricia Smith& Pippa Whittaker(Cambridge University Women’s Boat Club) Both members of the victorious Cambridge Blue Boat this year. Annie Withers&Sam Courty(Leander Club) Both experienced squad members. Withers won medals in the W8 at both the 2ndand 3rdWorld Cups in 2017. Courty raced in the W4- at the 2017 World Championships and then in the W8 at the 2ndWorld Cup last season. Tom Jeffery&Sholto Carnegie(Leander Club) Jeffery finished 5thin the W2- at the 2017 Worlds and then moved into the M8 that finished 5that the 2018 European Championships. Yale graduate Carnegie won silver medals at the U23 World Championship in 2016 and 2017 and made his senior debut last season finishing 4thin the M4- at the Lucerne World Cup. James Johnston& Adam Neil(Leander Club) Johnston is a graduate of Harvard and made his senior debut in 2017 racing in the M4- he took silver in this boat at the European Championships and followed that with bronze at the Worlds. Neill raced in the M8 in 2017 before joining Johnston in the M4- for 2018. Tom Ransley&Ollie Wynne-Griffith(Leander Club). Ransley is the only remaining member of the GB Olympic gold medal 8 racing at trials (Will Satch being on the injured list) and he’s been a key member of the M8 throughout the Tokyo Olympiad. Wynne-Griffith was a member of the M8 throughout the 2018 season. James Rudkin(Newcastle University Boat Club) & Josh Bugajski(Oxford Brookes University Boat Club). Rudkin won silver in the BM4- in 2016 and made his senior debut in 2017 in the M8 and throughout the 2018 season. Bugajski made his senior debut in 2018 winning a silver medal in the M8 at the 1stWorld Cup. Barney Stentiford& Callum McBrierty(Leander Club) Stentiford has been on the verge of the senior squad for a number of years, having a single U23 appearance from 2013. McBrierty won the M2+ at the world Championships in 2016 and raced in a variety of boats during 2017 (including taking gold in the M4- at the 1stWorld Cup) and racing in the M8 at the World Championships. He finished 5thin the M4- at the Linz World Cup in 2018 and 10thin the M2- in Lucerne. Matt Tarrant(Oxford Brookes University Boat Club) & Tom George(Leander Club) Tarrant has been a member of the senior team since 2012 winning gold in the M8 in 2014 and the M2+ a year later. Throughout 2017 he raced in the M4- winning bronze at the World Championships before moving into the M8 for 2018. George made his senior debut in 2017 having won silver in the U23 team in 2016. He finished 5thin the M20 in 2017 and moved into the M8 for 2018. Harry Glenister&George Rossiter(Leander Club) Both Glenister & Rossiter made their senior debuts in 2018 racing at all three World Cups taking 4thin the M4- at Lucerne. This entry was posted in Uncategorized on April 19, 2019 by fatsculler. Having looked at the men’s reserve crews, now it’s time to have a look at the women’s boats. Blondie have won this race for the last 3 years and took the 2018 win by an impressive 9 lengths, and like last year’s crew this year’s reserve crew could give many Blue Boats a run for their money. The crew includes former Blue Fanny Belais. The Swiss woman rowed bow in the losing 2015 crew and has also represented her country at U23 level winning a bronze medal in 2014. She also has a Lightweight Boat Race win to her credit having been a member of the victorious 2017 crew. Last year’s Blondie crew included Cambridge President Daphne Martschenko (who will be part of this year’s commentary team for the BBC), this year’s President, Abigail Parker, follows that tradition of being a President who doesn’t row in the Blue Boat. The Harvard graduate, daughter of the legendary Harvard coach Harry Parker, sits at 4. She forms part of a formidable engine room with Anouschka Fenley at 5 and Rebecca Dell at 6. Fenley, a former pupil of Headington School studied as an undergraduate at the University of Washington where she was a member of the 2ndVarsity 8 that won the PAC-12 Championships in her sophomore year. Dell, a Glaciologist at Scott Polar research Institute, is a former Durham University student and was a member of the Cambridge W4+ that won gold at the BUCS championships last year. Joining Dell in that BUCS winning crew was Irishwoman Sally O’Brien. She sits at 7 in this year’s Blondie boat. There is one member of the 2018 Blondie crew back in 2019, Emma Andrews. The former Putney High school student will know the course better than anyone and this year sits in the 2 seat. Sitting one place behind Andrews in the bow seat is Charlotte Jackson, she’s a product of the Cambridge development programme having only picked up an oar on going up to Cambridge. Another rower who learnt to row at Cambridge is Spain’s Adriana Perez Rotondo. She rowed for Cambridge at the BUCS regatta last year winning gold in the Beginner W4+ category. The crew is coxed byCatriona Bournewho was a last minute replacement for the CULRC Granta reserves crew last year. The Osiris boat has three of last year’s crew back for another go, Sanja Brolih from Germany, Linda Van Bijsterveldt from the Netherlands and GB’s Matilda Edwards. Stroking the crew is the youngest athlete in the race, 19 year-old Katie Anderson. The former Yarm School pupil is another athlete who earned her first representative honours as a member of the Great Britain Coupe De La Jeunesse squad and won a bronze medal in the JW2-. 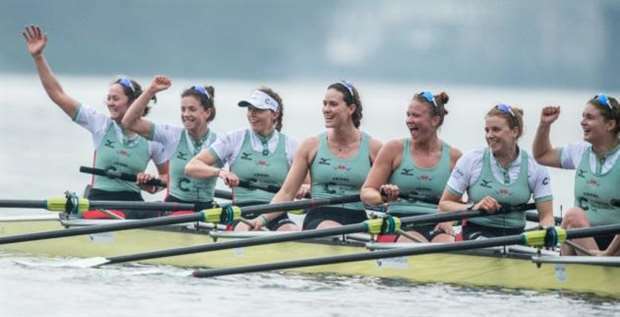 Joining them in the crew are a number of athletes who have come through the ranks of the Oxford Development squad and the Oxford Collegiate rowing system, GB’s Elizabeth Keechand Juliette Allenalong with Dutchwoman Elsebine Bolierand Italian Bea Faleri. The crew are coxed by Michael Hobley,coxswain of the Keble College men’s 1st8. As with last year, Blondie look to be the far more experienced crew, with Blues and Blondie athletes on board as well as athletes with US collegiate racing experience. My money is on Blondie to repeat their victory of 2018. This entry was posted in Uncategorized on April 3, 2019 by fatsculler. The Oxford and Cambridge reserve crews for this weekend’s Boat Race have now been named, these races are often more exciting than the Blue Boats although sadly they seldom get any sort of mainstream coverage. So, here’s my brief look at the form of each crew. Since the Blue Boat’s were announced last month there’s been a bit of an upheaval in the Oxford camp. Benedict Aldous, originally named at 4 in the Blue Boat has been dropped and will now sit in the 6 seat of Isis. A reversal in fortunes for Aldous who had originally been named in the 2018 Isis crew only to be bumped up to the Blue Boat when Josh Bugajski left the squad. Another casualty of the changing Blue Boat is cox Anna Carbery, who not only loses her seat in the Blue Boat but doesn’t even get the seat in Isis. Aldous is joined by two other rowers with experience of the reserves race, Charlie Thurston and Nick Elkington. Thurston was in the victorious Isis crews in 2015 and 2016 and Elkington in the losing 2018 crew. Stroking the Isis boat is freshman, Leo Von Malaise. He’s the youngest athlete in the race and was a member of the truly outstanding St Paul’s school crew in 2018 – possibly the finest single school 8 Britain has ever seen. I had predicted he might get a seat in the Blue Boat this year, but a year in Isis will set him up nicely for a Blue Boat spot in 2020. Backing up Von Malaise at 7 is former junior international Luke Robinson. He won a World Championship bronze medal in the Junior M8 in 2017. In the engine room at 4 and 5 are Hal Frigaard and Ben Thomson. 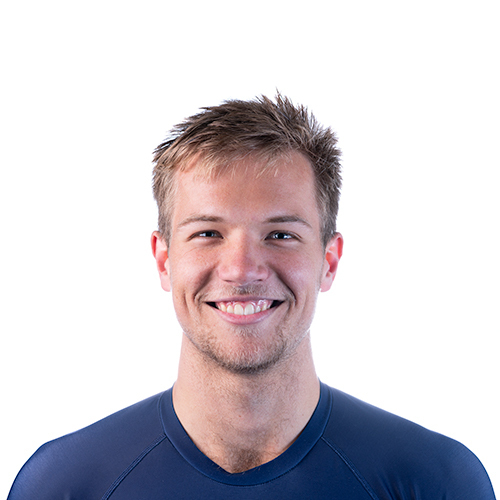 Frigaard (a dual Australian and British citizen) rowed for Adelaide University at the 2017 Sydney International Regatta picking up a bronze medal in the U23 8’s. Thomson, from RGS Worcester was captain of Boats whilst at school and formed part of a very successful JM4X. Sitting at bow, somewhat appropriately, is Josh Bowesman-Jones. The 20 year old rowed in the Radley 1st8 and represented GB at the 2017 Coupe De La Jeunesse. Steering the crew is the oldest member of the Oxford crew, and their soul American, Devon Braimer. The 24 year old learnt her craft on the waters of the Norwalk River in Connecticut before coming to the UK to study Chemistry at St Andrews and then medicine at Oxford. Lining up against isis are a Goldie crew with 4 returners from the victorious 2018 crew, Gerard Kuening, Rob Harris, Tom Strudwick and Reggie Mitchell. They are joined by 2018 Lightweight Blue Calum MacRae at bow. In the six seat is Jonty Page who, along with Rob Harris, Reggie Mitchell and Callum Sullivan (who is in the 2019 Blue Boat), won gold in the M4- at the EUSA Games in Coimbra Portugal in 2018. Sitting at 2 is Hugo Durward, the 19 year old learnt to row at Winchester (along with Tobias Schroder and Luke Robinson) and in 2018 won British Rowing’s “Rising Star of the year” award. He’s a former GB junior trialist and has spent a lot of time as a volunteer coach with the Fulham reach “Future Blues” junior programme. One place in front of Durward, is old-Hamptonian Tim Nugent. He’s another oarsman with junior representative honours when he represented GB at the Coupe De la Jeunesse in 2014. Steering the crew will be Charlie Marcus, another Hampton old-boy who, like his fellow Hamptonian Durward, represented Great Britain at the Coupe De la Jeunesse when he steered the GB JM8 to a gold medal in 2016. So who will take the honours? Isis undoubtedly have some exciting talent onboard, Aldous is a Blue after all and the likes of Von Malaise and Thomson could well win full Blues in the next few years. But, Goldie have the core of the crew that won last year and that will offer them a big advantage. I predict another great race, but Goldie to take the win. This entry was posted in Uncategorized on April 2, 2019 by fatsculler. Time now to look at the Oxford and Cambridge Women’s Blue Boats. Last year’s Vice=President, Smith is a great example of the Cambridge development system. She first picked up an oar as a fresher in 2013 and rose rapidly through the ranks, securing a seat in the winning Lightweight Blue Boat in 2015 before moving up to the open-weight squad and rowing in the Blondie crew of 2017 and then the victorious Blue Boat last year. She has trialed for the GB Rowing squad and finished 10thin the W2- at the 3rdGB Team assessment last year. A former Kingston Grammar School pupil, Dodds raced in the 2016 and 2017 Osiris crews losing by 3 ½ lengths and 13 lengths respectively She’s also represented Oxford at Henley Women’s Regatta losing in the 2ndround of Elite 2- in 2017. Verdict: advantage Light Blues, Smith has competed in the race before and that experience will be invaluable. The Kiwi moved to Australia 10 years ago and learnt to row at Queenwood School in Sydney. She then studied for her undergraduate degree at Yale University (one of three Yale Alumni in the Cambridge Boat). Whilst at Yale she won medals at the NCAA Championships & the Ivy League Championships, including a spell in the Yale 1stVarsity boat. 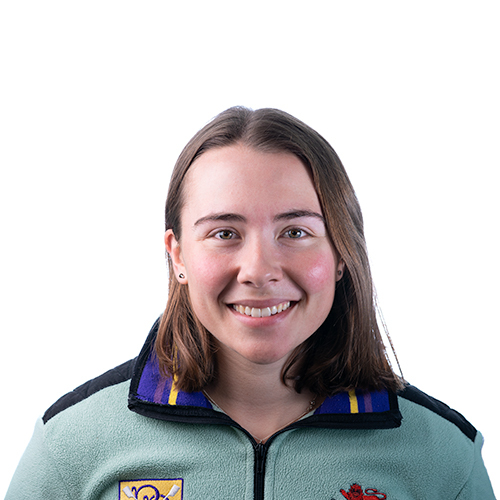 Oxford’s Vice-President, Murgatroyd was stroke of the losing Osiris crew in 2018.She’s another rower who has come up through the Oxford development squad having learnt her rowing at Christ Church College. Verdict: Another advantage to the Light Blues with the highly experienced Yale grad Deans. A graduate of Michigan University, Foster spent her Senior year alternating between the 2ndand 3rdVarsity 4’s winning the Big 10 Conference title in the 3rdV4. Since arriving at Cambridge for the 2018 season she rowed in the successful Blondie crew last year and followed that up with an A-Final appearance in Champ 4- at the BUCS Championships. Dutch woman, Koolschijn, is a graduate of the University of Groningen. But she didn’t pick up an oar until she went up to Oxford. She progressed quickly and sat in the bow seat of last year’s Blue Boat. Verdict: This is fairly close. Koolschijn has the experience of racing in the Blue Boat, and that is a big advantage. But Foster is no novice on the Tideway and the American collegiate racing season breed tough racers. Honours even. Born and raised in Cambridge, Sayre was a member of the winning Blondie crew in 2018. She studied as an undergraduate at MIT where she majored in Mechanical Engineering. Whilst at MIT she rowed in the Varsity 8 at the Head of the Charles and the Princeton Chase and was in the crew that finished 3rdat the Patriot League Championships. The oldest and lightest woman in the race, Polgreen has more Boat Race experience than just about anyone else in the event. She rowed for the Cambridge lightweight crew in 2009 and then the Blondie reserves in 2010. 2011 saw her elected as Cambridge President where she rowed bow in the losing Blue Boat. She’s one of a very select band of Boat Race rowers who have been President of one University and subsequently won a Blue for the other. Verdict: Another tight contest, but Polegreen’s greater Blue Boat experience just gives her the edge. The lightest and equal tallest member of the Cambridge Boat, Horvat is the 2ndof three Yale graduates in the boat. Whilst at Yale she rowed in the 2V crew that won silver at the Ivy League Championships and made the Grand Final of the NCAA Championships. Possibly the no.1 rower in the Oxford boat, and the only one with any international experience. Christmann made her senior international debut in 2015 as a member of the 2ndGer W4X at the Varese World Cup. This crew went on to finish 5that the U23 World Championships that year. She returned to the quad for the 2017 season and won bronze at the U23 World Championships. Verdict: Clear advantage to Oxford with Christmann’s strong international pedigree. Whittaker learnt to row under the tutelage of Chris Boothroyd at Henley Rowing Club. As a junior she represented Great Britain at the Coupe De La Jeunesse and then as a senior she sculled for England at the Commonwealth Regatta, winning gold in both the 1X and 2X. She did her undergraduate degree at Loughborough with whom she won gold in the 1X at the BUCS Regatta and in the W4- at the World University Championships. She’s also raced with Leander Club and Thames Rowing Club. At the British Championships in October last year she was a member of the CUWBC W4- that won gold. Another product of the Oxford University Women’s Development squad, Bridgman raced for Osiris in 2017 going down to a 13 length defeat to Blondie. As a member of the OUWBC development squad she was in the Intermediate W8 that made the final at Henley Women’s Regatta in 2016. In 2018 she occupied the crucial stroke seat of the crew that went down to a 7 length defeat. Verdict: Advantage Cambridge, Whittaker is an outstanding technical athlete and knows the Tideway well from her time at Thames Rowing Club. The only athlete in the Woman’s race with senior World Championship experience. Jacobsen rowed for Denmark at the 2018 World Championships where she just missed out on the medals in the W4-. She made her international debut as a junior in 2012 and won a bronze medal. In the JW2X in 2013. 2017 saw her race in both the W4- and W8 at the U23 World Championships in 2017. Her first senior medal came in the W4- at the Lucerne World Cup where she won silver in the W4-. Once her time at Cambridge is over she’ll be looking to win a spot on the Danish team for the Tokyo Olympics. The final member of the Yale triumvirate in the Cambridge boat. In her Junior year at Yale she stroked the Varsity 8 that made the final at the NCAA championships and took bronze at the Ivy League championships. As a Senior she sat at 2 in the Varsity 8 that won silver at the Ivy League Championships. She spent two years on the US junior team winning a bronze medal in the JW2- in 2014. In 2018 she moved up to the U23 team and took bronze as a member of the US U23 W8. It’s a bold move by Coach Andy Nelder to place his youngest athlete (and the youngest in either men’s or women’s race) in the crucial stroke seat. The teenager learnt to row at The King’s School in Chester and already has representative honours to her credit, with an appearance for Great Britain at the 2017 Coupe de La Juenesse. But, she faces a much more experienced rival in the Cambridge Boat and if the racing gets tight will she be able to face down her rival. Clearly Nelder feels she is the best person for seat so it’ll be exciting to see how the youngster performs. A former pupil of Westminster School, Spaughton probably knows this stretch of river better than anyone. He’s been coxing crews on this stretch for over 7 years. The Oxford President, Shearer is another product of Westminster School, albeit at school she rowed. Switching to coxing when she went up to Oxford, she steered Osiris in 2017 and then the losing Blue Boat in 2018. Verdict: In the battle of the Westminster students, it’s Shearer who has the edge, with two appearances to her credit so far. So, who will win? My money has to be on a Light Blue victory. Cambridge have been a bit more visible in some public races. They competed well against Nereus from the Netherlands (who’s crew contained the bulk of the Dutch U23 W8 that won silver at the World Championships last year). 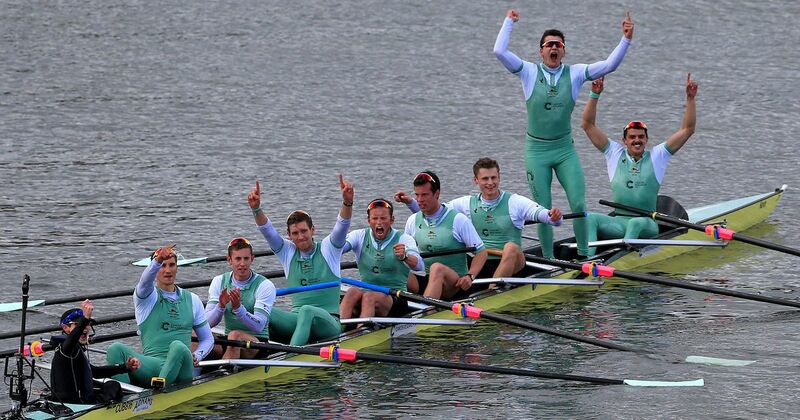 They also took wins against Oxford Brookes and won Hammersmith Head by 19 seconds. Oxford have only had one official fixture where they dispatched Imperial College. Cambridge just look to have too much power and experience for their Dark Blue rivals. Cambridge for the win. This entry was posted in Uncategorized on March 17, 2019 by fatsculler. 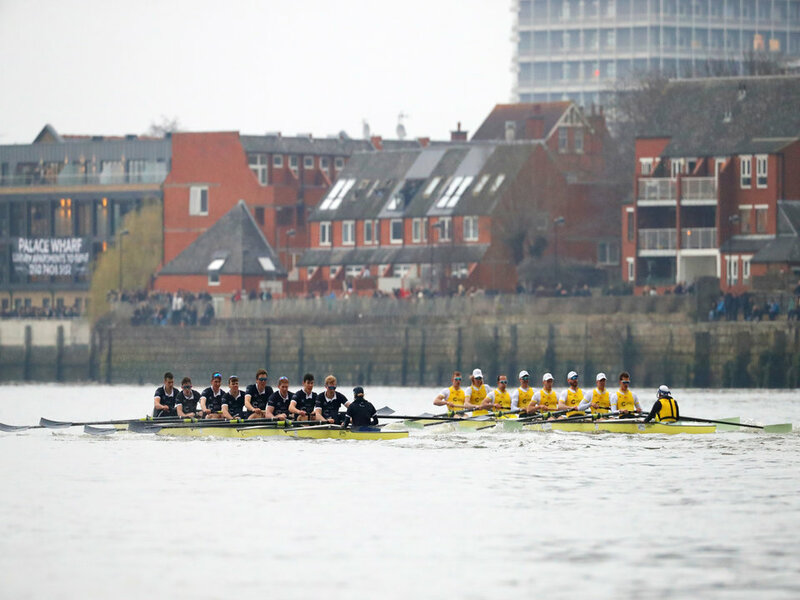 This week saw the formal announcement of the crews to represent Oxford and Cambridge Universities in the men’s and women’s Boat Races on April 7th. As in previous year’s here is my seat by seat comparison of the crews. First up, the men. Dave “The People’s Champion” Bell, raced in the successful Goldie crew last year and has been a stalwart of the domestic rowing circuit for a number of years. More renowned as a sculler, the Molesey man won gold in the M1X at Marlow Regatta back in 2016 and made the main draw at Henley that year. 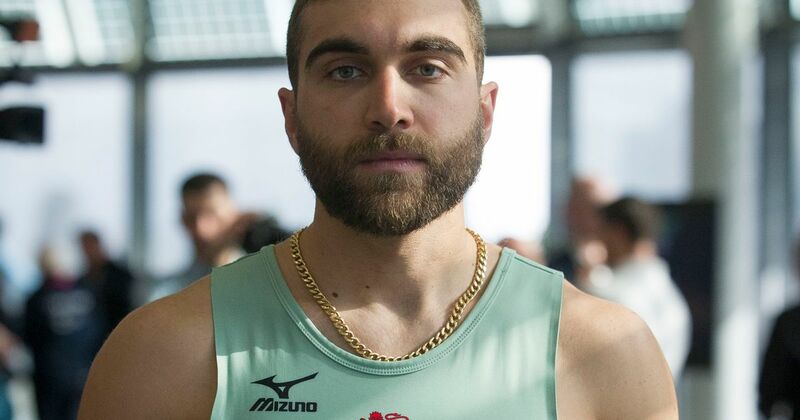 Harzheim is a graduate of Harvard and was a member of the highly successful 2ndVarsity crew that went undefeated in 2016, taking wins over Yale and gold at the Eastern Sprints and the IRA Championships. All the media attention is on Cracknell, at 46 he becomes the oldest person ever to compete in the race (by some margin). With two Olympic golds and six World Championship titles to his name he’s also the most decorated man to row in the race. It’s testimony to his longevity that he was even a part of the squad, let alone securing a seat in the Blue Boat. But, for a man who has rowed the Atlantic, trekked to the North Pole, run the Marathon De Sables and has run a sub 2:45 marathon the Boat Race is just one more challenge for the adventurer. The challenge he also faces is to make sure he’s still in the boat come race day. He’s struggled with injuries this season and there’s no escaping the fact that at his age it will take careful management to ensure his body remains up to the challenge. The 2nd German in the Oxford boat is another US educated athlete, Benjamin Landis. He rowed for the outstanding Columbia University Lightweights and whilst at school won bronze at the German National championships in 2010 and 2012. Verdict: Cracknell is not only an excellent athlete, he also brings a wealth of experience to the Cambridge Blue Boat – advantage Light Blues. Bitler learned to row at the prestigious Phillips Academy in Massachusetts before going to college at Brown University in Providence, Rhode Island. Whilst at Brown in his Junior year he raced in the Varsity boat that made the Grand Final at the IRA Championships and went on to reach the semi-final of the Ladies Plate in the same year. In his senior year he rowed 7 in the 2ndVarsity crew that finished 7that the IRA’s. Verdict: another seat where there isn’t too much to choose between the two. Bitler’s experience of match racing whilst at Brown will be crucial on the Tideway, but Sullivan’s Tideway experience and international pedigree just gives the Dark Blues the edge. This year’s President, Alizadeh is one of only two returning Blues from last year’s victorious men’s Blue Boat. He’s a graduate of Penn University where he rowed in the Varsity 8. In 2015 he was selected for the US U23 team winning a silver medal in the BM8 at the world Championships. After graduating he spent a year coaching at Winchester College in the UK where one of his charges was Tobias Schroder, who lines up against his former coach in the 5 seat of the Dark Blue Boat. Aldous is one of two returning Blues from the losing 2018 crew. His first Blue came in somewhat controversial circumstances when the originally selected crew man, Josh Bugajski, was dropped a few days before the race after falling out with Coach Sean Bowden. This year, old-Etonian Aldous, wins his place by right. A Junior World championship medallist, he was a member of the Eton 1stVIII in 2015 that reached the Friday of the Princess Elizabeth at Henley. 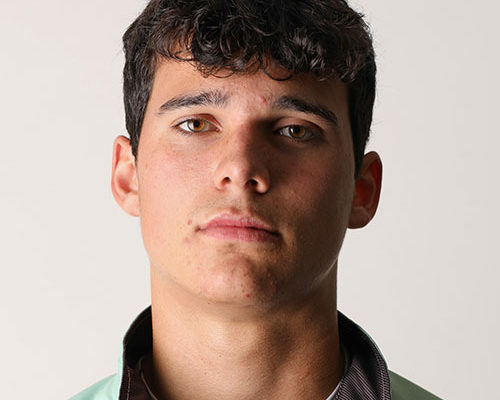 Verdict: Cambridge have the upper hand here with Alizadeh an experienced U23 international and with one Boat Race win already under his belt. The youngest man in the Cambridge crew, Sullivan learnt to row in East London at Globe Rowing Club as part of the London Youth Rowing Initiative. He went up to Cambridge for the 2018 academic year to read Music. He narrowly missed out on selection for the Blue Boat but did make Goldie, helping the Cambridge reserves to a 2.5 length victory. He went on to row for Goldie in the Prince Albert at Henley narrowly losing to Imperial in the final. At the 2018 British Championships Sullivan was selected for the top Cambridge 4 that won gold. The youngest man in the race (he’s 3 weeks younger than his opposite number), Schroder learnt his rowing at Winchester College (where he was coached by Cambridge President Alizadeh). He was selected for the GB Junior team in 2017 taking a bronze medal in in the JM8. After an outstanding performance in the 1stGB trials in 2018 (which he won with crewmate Felix Drinkall) he was selected for the British U23 team and finished 5thin the BM4+ at the Poznan World Championships. Verdict: two outstanding young oarsmen, from very different backgrounds. I think this one is too difficult to call – a draw. The University of Melbourne graduate won bronze in the U23 M8 in 2012 and made his senior debut in 2014 rowing at the 1st World Cup in Sydney, finishing 4th in an Australian 2nd 8, before moving into the 1st 8 for the Lucerne World Cup and the Aigubelette World Championships (where the Australians finished 9th). He looked set to win a place in the Rio Olympic team, but decided instead to continue his medical studies. Those studies now bring him to Cambridge where he is reading for an MPhil in Medical Science. Drinkall is the first undergraduate President at OUBC since Stan Louloudis in 2015. The Old-Etonian made the Blue Boat at his first attempt as a Freshman in 2018, and now steps up to lead the Club as President. He’s one of the most exciting young oarsmen in Britain at the moment. He won gold in the JM4- at the Junior World Championships in 2017 and followed that up with a silver medal at the U23 World Championships in 2018. At the November GB Trials he produced the fastest U20 2K erg and placed 3rd overall in the 5K M2- Time Trial with partner Tobias Schroder making them the fastest U23 pair by 8 seconds ahead of the top Cambridge pair. Verdict: Drinkall is an outstanding prospect, but Hookway is just as outstanding, and has significant senior international experience to back him up. Advantage Cambridge. The other returning Blue from the 2018 race is Freddie Davidson, stroke of the 2018 boat. Davidson is the grandson of Alistair Davidson who won a silver in the M8 at the Commonwealth Games in 1954. A former pupil of St Paul’s School Hammersmith, Davidson junior learnt his rowing on the Tideway. He followed-up his victory in the Boat Race with selection for the Great Britain U23 team, winning a silver medal in the M8 at the World Championships in Poznan. So far this season he guided Cambridge’s top 4- to victory at the British Championships in October and finished 6th in the M2- at the November British Team Trials (partnering Callum Sullivan). Pearson was a crew-mate of Drinkall in the 2016 GB JM8 that won bronze at the Junior World Championships and then the Eton 1stVIII that reached the semi-finals of the Princess Elizabeth at Henley in 2017. Pearson was in the victorious top Oxford boat at the Head of the River Fours in November. Verdict: In the crucial 7 seat it’s the Light Blues that have the edge, Davidson already has a winning Blue to his credit and knows the Tideway extremely well. Whilst all the media attention is one the selection of James Cracknell to the Light Blue Boat, it’s probably Natan Wegrzycki-Szymczyk who is the outstanding oarsman in the race. The 24 year old Pole already has three World Championship and one Olympic appearance to his credit, taking 7th in the M1X at the Rio Olympics and also at the 2017 World Championships and 8th at the Worlds in 2018. He’s also won a host of age group medals, winning Junior World gold in 2013 and U23 silver in 2014 and 2016 and bronze in 2015 and 2017. His undergraduate studies took him to the University of California, Berkeley where he was named 2017 Scholar Athlete of the Year. During his time at Cal he won the IRA Championships in 2016 and won the Head of Charles (breaking the course record in the process). Another US educated athlete is Belgian Augustin Wambersie. He raced at the Junior World Championships in 2014 before going up to Princeton University. As a Senior he was co-captain and raced in the Varsity 4 that finished 5th at the IRA Championships. In 2018 he raced in the top Oxford crew at the British Championships and Head of the River Fours. He’s the first Belgian to row in the men’s race. Verdict: a clear advantage for the Light Blues. Holland coxed the victorious Cambridge women’s Blue Boat in 2017 and is one of a small band of coxes that have steered both a men’s and women’s Blue Boat. Carbery narrowly missed out on winning a Blue in 2018, but instead steered the losing Isis crew in the reserve race. Verdict: Another advantage for the Light Blues. Summary: it’s been slightly frustrating this year that the planned fixtures against Oxford Brookes fell afoul of the weather, but the form book suggests that Cambridge will be the strong favourites to take the win on April 7th. Coach Rob Baker has an outstanding group of oarsmen in his crew with senior international experience in the bows and stern. As in 2018, Oxford look to be a strong, young crew (they average 4 years younger than their Light Blue counterparts – Cambridge have 4 members of the crew over 25 compared to Oxford’s 2), but the potential in the Light Blue boat (if they all stay fit and healthy) makes it one of the most exciting Blue Boats for many years. Cambridge to win. This entry was posted in Uncategorized on March 15, 2019 by fatsculler. 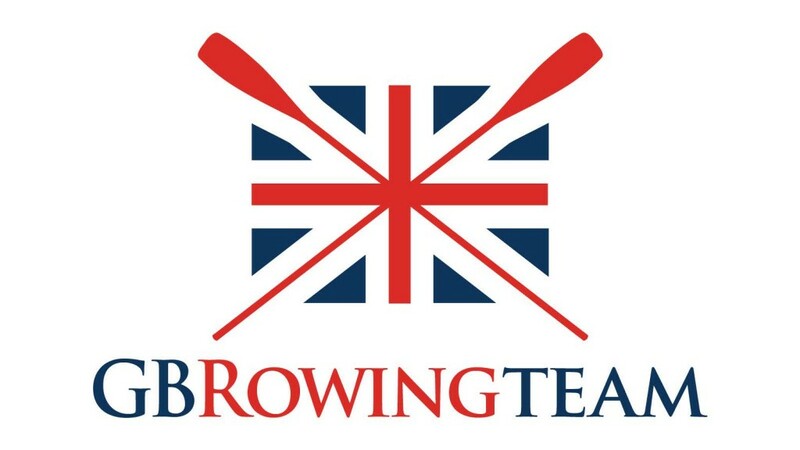 This week British Rowing confirmed that they were moving the Senior British Rowing Championships from October to the 15th– 16thJune. I think it’s safe to say this decision has received mixed reviews. One the one hand, the move from October was a bit of a no-brainer, I’ve always felt that to hold a National Championships in late October was asking for trouble. Who wants to race a multi-lane 2K regatta in the 3rdweek of October?? Not only is the weather likely to be unhelpful, there’s also the question of racing 2K in big boats when most clubs are beginning to ramp up their winter training and getting ready for the Head Season. As a member of the Head of The River Fours committee I’m well aware of the impact that the Champs has had on that event. Several times I received feedback from some high-performance clubs that they wouldn’t be racing at the Fours Head as they were racing at Champs a couple of weeks earlier and didn’t have the time to put together the crews, nor (more importantly) could they justify the expense of entering multiple boats at the Champs and then the Fours Head a few weeks later and then the GB Long Distance trials the week after. As the British Champs and the Long-Distance trials were both mandatory events for anyone wanting to be considered for National selection, the Fours Head has often missed out. 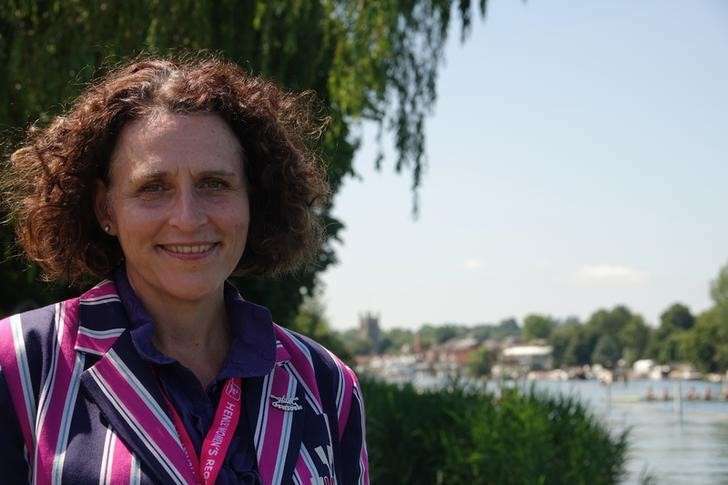 “Henley Women’s Regatta was consulted about the new proposed date for the British Senior Championships (15th 16th June) and we expressed our concern. We believe by scheduling the British Senior National Championships to the weekend before Henley Women’s Regatta is not in the interest of women’s rowing in this country and we advised against this. Henley Women’s Regatta is 10 days before the start of Henley Royal Regatta and one week before the qualifying races. Most crews look to peak for a major competition once every two weeks. Therefore, crews wishing to compete at the highest-level regattas in the calendar will need to peak and race at every weekend over 4 weeks. We do not believe it is sensible to crowd these 4 weeks with so many high-level events. We work hard all year to attract high level crews from abroad to come and race British crews at HWR. For many this is a unique opportunity to test the best in the UK versus the best from overseas We have some exciting crews planning to make the journey for this year and we want them to have the best GB Universities and Clubs to race. The Championship level events last year offered exciting and close racing with a good entry of between 7 – 16 crews in open weight. Having the three pinnacle regattas in the UK crowded into this time does not make sense for the rowing calendar. We appreciate that crews may choose not to compete at all three events, i.e. the British Senior Championships, Henley Women’s Regatta and Henley Royal Regatta, but we are disappointed that crews and coaches may have to make this choice. We are also aware of rumours suggesting that crews performing well at the British Championships (should it be confirmed that they will take place on the weekend prior to HWR) would be exempt from the time trials at HWR. The committee wish to stress that no pre- qualification for HWR will be allowed and that all crews will be required to take part in time trials if they are required for an event. The weekend of the 15th-16thJune also sees no fewer than four other regattas, including the British Masters Championships in Strathclyde and Reading Amateur Regatta, one of the major Thames river regattas and pre-Henley Royal and Henley Women’s regatta’s events. This will be a major issue for clubs as the vast majority do not have the resources to send crews to Strathclyde, Nottingham and Reading. The Chairman of Reading Amateur Regatta, Andrew Wilbey, wrote to British Rowing expressing his dismay at the proposed change of date. Perhaps, more fundamentally, this “crowding” of events on this one weekend will have a massive impact on the many volunteers who help run the regattas, especially the Umpires. British Rowing Umpires are a finite resource and many of them officiate at events every weekend throughout the summer. With four events already taking place that weekend (Masters Championships, Reading Amateur, Marlow Town and Barnes and Mortlake Regatta), the addition of the British Championships puts a massive strain on this resource (especially as the number of Multi-Lane qualified umpires is an even more finite resource). It’s entirely possible that there simply won’t be enough suitably qualified officials to run all of the planned regattas. It would be a massive shame if British Rowing’s heavy handedness causes one of these other events to be cancelled. “This was not an easy decision. It was widely recognised that the British Rowing Senior Championships needed to move from October, but there was no perfect date to put it. The very limited availability of suitable multi-lane courses in the UK meant that we were limited to one weekend in what appeared, for a number of reasons, to be the most appropriate month. The recommendation by the senior volunteers in the sport who make up the Events Committee was to trial that weekend for one year. “We were acutely aware of the concerns raised in a number of quarters in relation to that weekend, and we listened to and carefully considered the large number of points that were made from across the rowing community. “After a lengthy discussion, the Board was satisfied that the Committee had considered every other option open to it under the current format of the Championships. Faced with the option of having no Senior Championships in 2019 (and guided by the Chair of the Sport Committee that this could have a knock-on effect into 2020), we agreed that the proposal before us was in the best interests of the sport. So, it would appear that the decision was driven mainly by the availability of a suitable venue, with only three possible venues in the UK (Dorney Lake, Strathclyde and NWSC) it was always going to be a challenge to find any weekend in the summer when one of these venues would be available. Having said that, it does feel like this is the wrong decision for this year. More time needed to be spent to ensure they were able to get the date and venue they wanted, rather than the only one available. Perhaps the Brit Champs should’ve been left where they were for 2019 and plans put in place well in advance to find a suitable date and venue for 2020 (although that being Olympic year will be an added consideration). 6 months doesn’t feel long enough to. Plan for such a major event. So, with British Rowing saying this year’s event is a trial when should the championships be held? It all boils down to what are the British Championships for? Are they the pinnacle of the season? Many would say no, as the main focus for British club rowing is Henley Royal and Henley Women’s regattas. When the Championships used to be held in late July there was always a bit of a feeling of post-Henley hangover – many athletes took a break after Henley and weren’t perhaps in top form for the Nat Champs. When I raised the question on Twitter about when should the Champs be held, I received a number of different responses ranging from “what’s wrong with October, no one’s prepared for them so it’s all equal” to “combine them with final trials in April”. What needs to be decided is just what are the Brit Champs for? Do we, the British rowing public, what an event at which the national squad athletes can compete (and compete in their club colours)? The drawback of this suggestion is that it will mostly end up with the national team athletes winning all the events. Personally, I would like to see an event that all clubs can compete at. I’m a great fan of the way the National Championships are run in New Zealand. There they have different classes, the Premier events – for those athletes who are members of the national squad and high-performance clubs, Senior – for those below international standard, Intermediate and novice. What’s attractive about this system is that it enables the various levels of experience to compete at the same regatta and can become National Champions. Another suggestion is that the championships are combined with the final GB trials in late April. With GB aspirants racing in the single and pairs with “everyone else” in the bigger boats. There is merit to this idea as it will allow the public to watch the top-level GB athletes smashing it out for selection and then the cream of club rowing racing in the bigger boats. My only concern with this idea is effectively the same as when the event was held in October – will the weather be suitable to hold a 2-3 day multi-lane championships and will clubs and crews be “race ready” so early in the season? Perhaps a better date would be late May – this is far enough into the season that clubs and crews are “race ready” but also gives sufficient time to recover and prepare for the likes of Henley Women’s and Henley Royal Regattas. The downside to this date would be that the GB squad wouldn’t be available to compete as it would clash with the racing or preparing for the Rowing World Cup. So, at the end of the day, there is no “perfect” answer for when the British Championships should be held, or even what format should they take. What is clear though, for this year at least, the compromise solution decided upon by the Board of British Rowing has pleased no-one. I hope the event is a success and has great racing, but the potential price being paid by other events, and the manner in which this event has been muscled into the calendar has disappointed many in the British rowing community. Let’s see what decision British Rowing takes for 2020, but whatever it is it needs to be done far enough in advance that both athletes and officials have enough time to prepare and that it complements the existing race calendar as far as possible. This entry was posted in Uncategorized on February 1, 2019 by fatsculler. A look at the Oxford and Cambridge men’s Boat Race squads. This week saw the official President’s Challenge, when the Presidents of Oxford University Boat Club and Oxford University Women’s Boat Club formally challenged their counterparts from Cambridge University to race over the 4 ¼ mile Championship course from Putney to Mortlake. This year’s challenge was held in the Crypt at London’s Guildhall with Abigail Parker and Dara Alizadeh of Cambridge formally accepting the challenges presented to them by Oxford’s Eleanor Shearer and Felix Drinkall. The President’s Challenge also sees the formal announcement of the various squads aiming to win their Blues on April 7th. So, as per previous years I thought I caste my eye over the squads and see who I think will make the Blue Boats and who will win the Boat Race. This year’s President, American Dara Alizadeh, is a graduate of the University of Pennsylvania where he rowed in the Varsity 8 and made the US U23 team in 2015 winning a silver medal in the M8 at the U23 World Championships. After graduating from Penn he spent some time coaching at Winchester College before going up to Cambridge in 2017. He rowed in the 3 seat of the Cambridge boat that won the 2018 race by 3 lengths. The other returning Blue from the 2018 race is Freddie Davidson, stroke of the 2018 boat. Davidson is the grandson of Alistair Davidson who won a silver in the M8 at the Commonwealth Games in 1954. A former pupil of St Paul’s School Hammersmith, Davidson junior learnt his rowing on the Tideway. He followed-up his victory in the Boat Race with selection for the Great Britain U23 team, winning a silver medal in the M8 at the World Championships in Poznan. So far this season he guided Cambridge’s top 4- to victory at the British Championships in October and finished 6th in the M2- at the recent British Team Trials (partnering Callum Sullivan). One area where Cambridge seem to have the upper hand in the last few years, is their ability to attract highly experienced athletes to come up for one year courses and try out for the Blue Boat. There are none more experienced than James Cracknell. The 47 year old will set a number of records if he’s selected for the Blue Boat in April. The most obvious one will be the oldest man ever to compete in the, beating coxswain Andy Probert’s record who was 38 when he coxed Cambridge in 1992. The other record Cracknell will set is becoming the most decorated man to row in the race. Cracknell has two Olympic Gold medals (Sydney 2000 and Athens 2004) and no fewer than six World Championship titles to his credit. Cracknell missed both the British Championships and the Head of the River Fours, so his form has yet to be put to the test. Other “older” athletes have tried for the Boat Race (most notably rugby player Andy Ripley who narrowly missed selection for the 1998 race at the age of 50). Given the nature of the race, Cracknell stands an excellent chance of making the crew, not just because of his outstanding pedigree, but because he’s matured into an outstanding endurance athlete, ideally suited to the rigours of a 4 ¼ mile race. If the course was a traditional 2K I’m not sure he’s make it, but for a man who has run the Marathon Des Sables, rowed the Atlantic and competed for Great Britain in Duathlon, the Tideway should suit him down to the ground. The other thing that’s guaranteed with Cracknell trialing for the Boat race is publicity. Crackers isn’t shy about documenting his challenges in public, and indeed a BBC film crew were filming him whilst he watched the rest of his clubmates prepare and race at the Fours Head. If he succeeds in winning a Blue there will quite the media frenzy. But, Cracknell probably isn’t the most outstanding member of the squad. That accolade probably sits with Natan Wegrzycki-Szymczyk. The 23 year old Pole already has three World Championship and one Olympic appearance to his credit, taking 7th in the M1X at the Rio Olympics and also at the 2017 World Championships and 8th at the Worlds this year. He’s also won a host of age group medals, winning Junior World gold in 2013 and U23 silver in 2014 and 2016 and bronze in 2015 and 2017. His undergraduate studies took him to the University of California, Berkeley where he was named 2017 Scholar Athlete of the Year. During his time at Cal he won the IRA Championships in 2016 and won the Head of Charles (breaking the course record in the process). He’s probably the first name on the team sheet for Coach Baker and President Alizadeh. Another outstanding recruit for this season is Australian Sam Hookway. The University of Victoria graduate won bronze in the U23 M8 in 2012 and made his senior debut in 2014 rowing at the 1st World Cup in Sydney, finishing 4th in an Australian 2nd 8, before moving into the 1st 8 for the Lucerne World Cup and the Aigubelette World Championships where the Australians finished 9th. He looked set to win a place in the Rio Olympic team, but decided instead to continue his medical studies. Those studies now bring him to Cambridge where he is reading for an MPhil in Medical Science. There are also six members of the successful 2018 Goldie crew back for another attempt to win a Blue, Dave Bell, Rob Harris, Gerard Kuenning, Reggie Mitchell, Tom Strudwick and Callum Sullivan. Of this group Sullivan looks to be in the best form. He was selected for the top 4- at the British Championships and also for the Fours Head. He also partnered Freddie Davidson at the GB Trials this weekend finishing as the top Cambridge pair in 6th (but 3 places behind the top Oxford pair). Strudwick and Mitchell were the 2nd fastest Cambridge pair at Trials coming 17th. Among the other new recruits are American Grant Bitler and Australian Harry Baxter. 22 year old Bitler is a graduate of Brown University and won U23 gold at the CRASH-B indoor rowing championships in 2017. In his Senior year he raced in the Brown 2nd Varsity crew that finished 7th at the IRA Championships. Baxter, a graduate of the University Of Queensland with whom he won gold in the M2- at the Australian University Championships. There are also a three of the Cambridge Lightweight Blue Boat looking to step up to the heavyweights, Zenas Veldhoven, Callum McRae and Theo Wimberger. Veldhoven, from Belgium, raced in the Lightweight Boat Race in both 2017 and 2018 and was President for the 2018 race. It’ll be interesting to see if they are unsuccessful in gaining a seat in either the Blue Boat or Goldie whether they go back to the Lightweights (who will be racing over the full Championship course for the first time). The other athlete to mention is Joe Nash from Abingdon School, if he gains a Blue he’ll become the youngest ever at 18 years and 78 days old. So, in summary this looks a really strong squad. They stamped their authority by placing 1st and 4th in the 4- at the British Championships, although Oxford got revenge at the Fours Head taking the win in Academic 4+ by 1 second (although Cambridge, racing as Goldie, suffered a collision in the first half of the course losing them an estimated 6 seconds). At the age of 19 Oxford’s President, Felix Drinkall is 6 years younger than his Light Blue counterpart and is the first Undergraduate President at Oxford since Constantine Louloudis in 2015. The Old-Etonian made the Blue Boat at his first attempt as a Freshman in 2018 and now steps up to lead the Club as President. He’s one of the most exciting young oarsmen in Britain at the moment. He won gold in the JM4- at the Junior World Championships in 2017 and followed that up with a silver medal at the U23 World Championships earlier this year. At the recent GB Trials he produced the fastest U20 2K erg and placed 3rd overall in the 5K M2- Time Trial with partner Tobias Schroder making them the fastest U23 pair by 8 seconds ahead of the top Cambridge pair. The other returning Blue is fellow old-Etonian, Benedict Aldous. Aldous was a (very) late addition to the Oxford boat for the 2018 race, after Josh Bugajski left the squad following alleged disagreements with coach Bowden. He’ll be looking to be named as a Blue with a bit more notice for the 2019 race and be talked about as a “genuine” member of the crew rather than as a last minute sub. Another exciting young rower is Tobias Schroder. As mentioned above, he partnered Drinkall at the recent GB Trials. He will be well known to the Cambridge President as Alizadeh spent some time coaching Schroder at Winchester College. Schroder made his international debut in 2017 winning a bronze medal in the JM8 at the World Championships and then made his U23 debut this year, finishing 5th in the BM4+. He raced in the top Oxford 4- at the British Championships and also at the Head of the River Fours. After the President he is probably the favourite to be selected for the Blue Boat. Bowden also has six returners from the 2018 losing Isis crew, Charlie Buchanan, Nick Elkington, Luke Robinson, Charlie Thurston, Alex Wythe and cox Anna Carbery. Robinson was another member of the GB JM8 that won bronze in 2017 and Thurston is another Junior World medallist having won silver in 2014. Alex Wythe is another with experience of racing at the Junior World Championships, finishing 10th in the JM2- in 2016. Another very talented new arrival at Oxford is Patrick Sullivan. The 23 year old University of London graduate, rowed for Great Britain at the U23 World Championships in 2017 winning a silver medal in the BM4+. There are two Germans in the squad, this first is Achim Harzheim. He’s a graduate of Harvard, with whom he raced in the 2nd Varsity 8 in 2016 helping them to an undefeated season culminating in a win at the IRA Championships. The 2nd German in the Oxford squad is another US educated athlete, Benjamin Landis. He rowed for the outstanding Columbia University Lightweights and whilst at school won bronze at the German National championships in 2010 and 2012. Bowden has a history of selecting light athletes for his crews, so being from a Lightweight programme is no real disadvantage at Oxford. Another US educated athlete is Belgian Augustin Wambersie. He raced at the Junior World Championships in 2014 before going up to Princeton University. As a Senior he was co-captain and raced in the Varsity 4 that finished 5th at the IRA Championships. This term he raced in the top Oxford crew at the British Championships and Head of the River Fours. Joining Drinkall, Schroder and Wambersie in the top Isis crew at the Head of the River Fours was Charlie Pearson. Another junior medallist, he’s one of three members of the 2016 bronze medal JM8 that are in the Oxford squad. Daniel Holod from St Paul Minnesota, is a graduate of Cornell University in New York State. Whilst at Cornell he raced in the 2nd Varsity crew, helping to their best ever finish at the IRA Championships (5th). As a junior he raced for the USA at the 2014 Junior World Championships, finishing 17th in the JM2X. Overall Oxford are a very exciting, young squad with some outstanding athletes, some of whom (like Drinkall and Schroder) could become stars of the Great Britain squad in years to come. However, on paper the Light Blues look much the stronger. They were frustrated by their loss at the Head of the River Fours, especially after their solid win at the British Championships. It’s Cambridge who will head into winter training as the favourites to take the win in the Spring. This entry was posted in Uncategorized on November 13, 2018 by fatsculler.